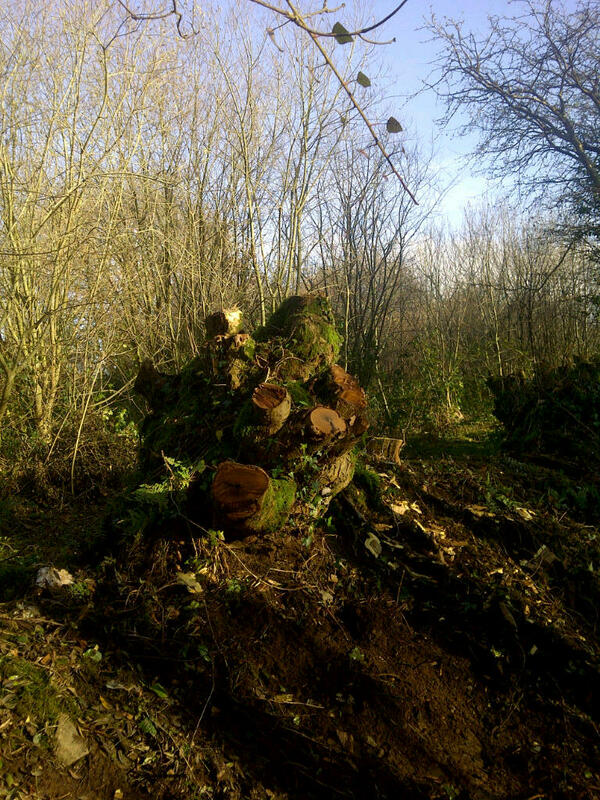 During a lovely sunny day, we finished coppicing the Laburnum. Above is a picture of Nick felling the last trunk with an axe. Below, the stool after the last trunk had fallen. After a delicious shared lunch we started coppicing a stand of Hazel. Our next work day will be on Sunday 12th January, 10am until 4pm. 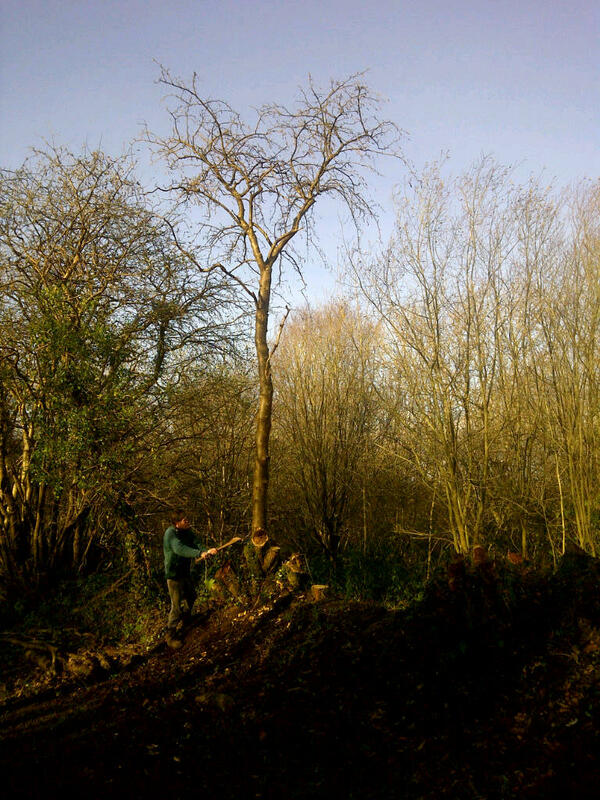 We will be continuing with the hazel coppice and perhaps starting some hedge laying. All are welcome to join us, please contact us for details and directions. This entry was posted in Volunteer Workdays and tagged coppice, hazel, laburnum, Permaculture, volunteer. Bookmark the permalink.